Vince Cohen gets his blood pressure monitored by Dr. Ellie Mueller at the Rockwood Clinic Heart and Vascular Center. Jeff Zeiger used to run 60 miles a week. He ate a mostly vegetarian diet, with a little fish for protein, and he hasn't used a salt shaker since 1980. He also has a Ph.D. in health and physical education. But none of that mattered. Heart disease is in his DNA. One morning in 2013, the then-58-year-old felt very sluggish as he got out of bed. His heart rhythm was off, and he didn't feel like running, which was strange. He went to the doctor and found out he had experienced a heart attack without even realizing it earlier that week. An echocardiogram revealed four clogged arteries — two 100 percent obstructed — and a clot in his left ventricle, which meant surgery was extremely risky. The doctor gave him some pills to break up the clot and sent him home. Zeiger returned to the doctor a month later. The clot was smaller, but not completely gone. There was a 1 in 100 chance that he would have a stroke on the table. He took his chances. Now, two years after his quadruple bypass surgery, he feels more like himself again. He still runs, though he's dialed it back to about 30 or 40 miles a week. The possibility of another episode still looms in the back of his mind, but it's been lessened by his team of three therapists and cardiac rehab sessions at St. Luke's Rehabilitation Institute. "I was dying. Literally," he says. "They saved my life." Jeff Zeiger with his physical therapist, Shaina Hicks, at St. Luke's. The unfortunate thing, according to Dr. Enkhtuyaa "Ellie" Mueller, a cardiologist at Rockwood Heart and Vascular Center, is that only 20 percent of cardiac patients actually go to rehab despite the fact that it's been proven to prolong life, improve quality of life and prevent future heart attacks. "Not all the things we do in medicine today can prolong your life," Mueller says, "but this will." She says there are many reasons patients don't go — laziness, a cumbersome referral process, just too busy — but one of the most frustrating for her is when cardiologists don't even tell their patients about rehab programs. Mueller recommends cardiac rehab to every single one of her patients who qualify under their insurance (Medicare covers up to 36 sessions for people who've had open heart surgery or a major cardiac episode). Actually, recommends is putting it lightly. She demands they attend rehab if they're eligible, and the way she raves about its benefits, they can hardly say no. "The risk involved when I do open-heart surgery is huge. You might die on the table," she says. "Every time you take medicine, there are side effects involved, even aspirin. But there is no side effect for cardiac rehab. It is absolutely the best thing." One of the biggest misconceptions about cardiac rehab is that it's just another workout program. That certainly is part of it, as each session devotes time to exercise, including aerobic activity, as well as upper-body and core strengthening and balance exercises. Everything is done under the supervision of therapists who monitor patients' blood pressure and heart rate. Most important, the patients also learn how to monitor it for themselves. 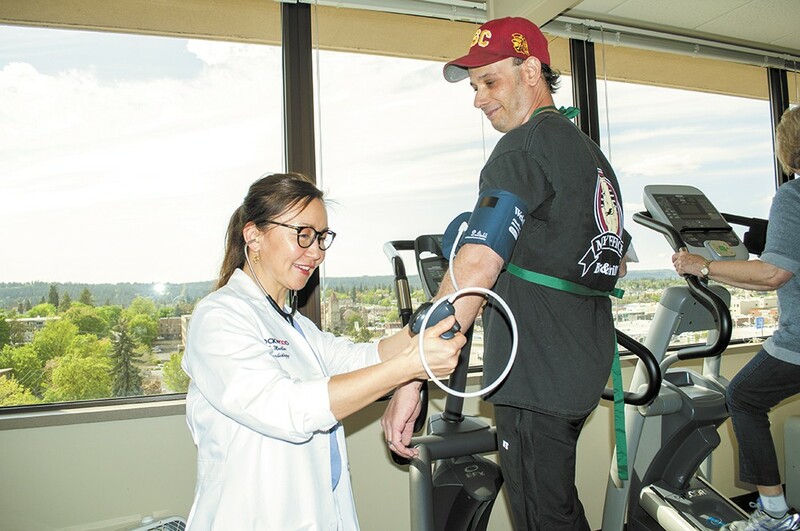 "Rehab teaches you that you might feel great, but your heart is saying 'I'm not ready for that yet,'" says Shaina Hicks, a certified clinical exercise physiologist and registered dietitian at St. Luke's Rehabilitation Institute. "That's why it's good to learn to measure your blood pressure and heart rhythm, so you know what pace you're able to do at home." The other half of cardiac rehab is educational. Exercise is important for strengthening the heart muscle, but in order to effectively prevent another cardiac episode, patients must change their lifestyles. Hicks says about 15 minutes of each session at St. Luke's is dedicated to education on nutrition and diet. She teaches how to analyze food labels and what foods to eat. Ultimately, the goal of cardiac rehab is to get patients to a point where they are able to exercise and eat right on their own, Hicks says. Zeiger's first couple of rehab sessions didn't go so well. His heart was racing — as you might expect after bypass surgery — he still felt sluggish and the nutritional information was mundane. He had a doctorate degree in the subject, after all. Eventually, though, things got a little easier. He constantly badgered the team of therapists to update him on his vitals and took an active role in his recovery, so he would know what was safe to do later at home. "The toughest thing for anybody is getting your mind around it," Zeiger says. "I'm two years out right now and I struggle every day. It's a game. You're wondering when the next episode is going to happen." Zeiger found comfort in the group of about 16 other patients in his rehab class. He says they end up building relationships with each other and act as a quasi-support group. 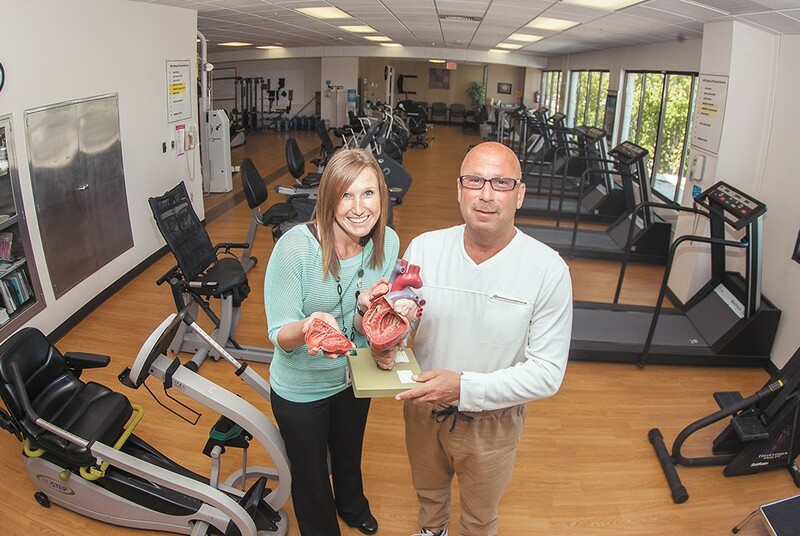 One patient, a new friend of Zeiger's, described cardiac rehab as "healing hearts and minds."